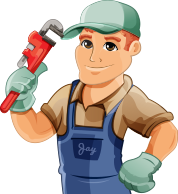 Need some kitchen plumbing repairs? A new stove installed? Maybe you want to switch out that old sink and faucet? Your kitchen is the most important room in your house. When planning an appliance upgrade, like adding a gas stove, or replacing a refrigerator with an ice-making model, make sure your plumbing is professionally completed from the start. We handle everything from fixing a leaky tap to managing complete kitchen renovations.